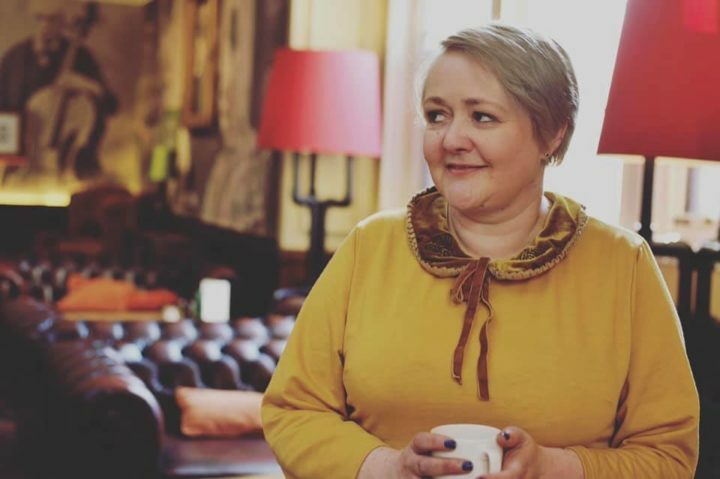 This week’s tea adventures is from Gemma who blogs at Wheel Escapades. Like Gemma I’ve too be served some very questionable cups of ‘tea’ and I’m very set in my ways how I drink my tea. I am an avid tea drinker. By this I mean I really love drinking tea. It’s the first thing I do every morning. Partly routine I’m sure, but mostly out of comfort and to prepare me for the world. What I know is I’m not best to be around too many people until I’ve done this ritual. Throughout the day, depending on where I am and what I’m up to, I drink on average 6-8 cups of tea. I can hunt out a cuppa anywhere! I carry teabags in my handbag, decaffeinated ones, as I try to ration my caffeine intake due to a fast heart rate. I can’t risk that a friend, family members house or event doesn’t have decaf and I have to say no to tea. ‘No’ and ‘tea’ should never be spoken together! I’m one of the few people I know who goes into a pub and orders a tea. Not always, I have to state here that I am partial to the odd cocktail or glass of red wine. In fact I drink very few beverages, tea, water and red wine pretty much being the breadth of my variety. Tea to me means home. It is comfort, taking a pause from life. A chat with a friend. It’s a rescue remedy for any dilemma, illness or drama. Best served hot with a good biscuit to dunk (I know there are going to be non-dunkers out there, but to me they cannot exist!). Tea is life. I am so fond of tea that I have a tattoo behind my right ear of a teacup with the quote ‘A world without tea is chaos’, something a friend of mine used to say. Tea drinking has always been rife in my family. Nan, Mum, me. Whenever someone comes round they’d always be asked ‘would you like a cup of tea?’ The kettle never cold. 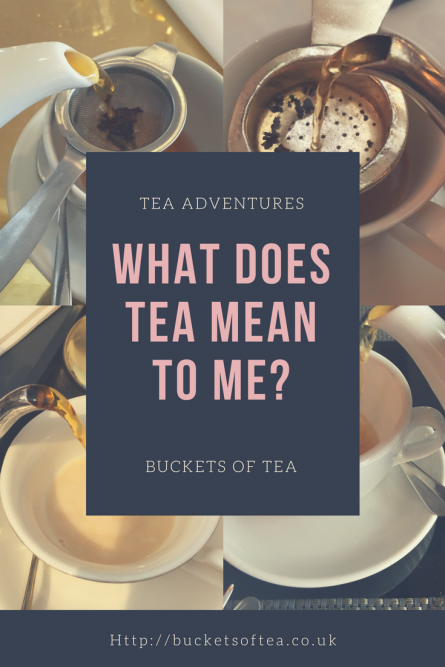 I’ve been drinking tea since I was a tiny human, my Mum and Nan used to put some in my bottle before I could even talk and instruct on the way in which I like my tea to be brewed. 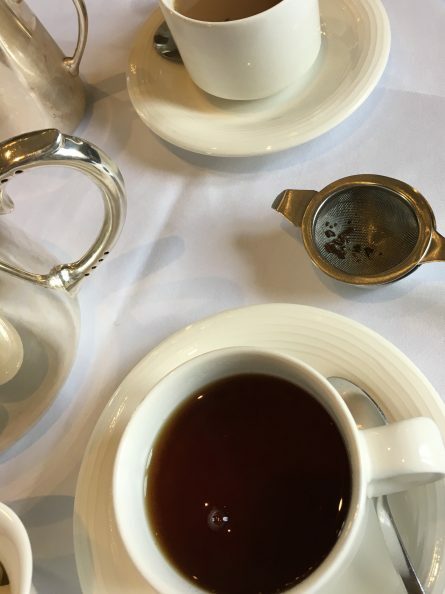 It’s highly important that a cup of tea is made correctly, and when you can’t make a cuppa yourself (due to physical disability) this can become very frustrating. Tea can either be a thirst quenching drop of elixir or a foul tasting lukewarm meh. Upon first meeting me I find that majority of people make me weak tea, even if I say ‘I like just a dash of milk please, quite strong’, that tea arrives looking like milk infused with a sprinkle of dust! Also, no I wouldn’t like it topped up with cold water, would you?! I’m 32 years old I think I’ve mastered the tea drinking process by now, yes I know it’s hot, (well it better be) and I will be careful not to burn myself, and if I do burn myself that’s my fault not yours. Tea in a china cup is always preferable as I feel it has a much crisper taste, even though I drink all fluids via a straw. A teapot and loose leaf tea is of course ideal but not practical in our busy 2017 lives so unless I’m out somewhere posh it’s generally a tea bag in a mug for me. NEVER put the milk in first, who’s idea was that anyway? Always pour over piping hot water and then leave the tea to brew for a couple of minutes before adding the milk. Now I know I sound pretty fussy, but at this point I don’t mind if you choose to take the tea bag out before you add the milk or after, whatever suits you. But just a drop of milk for me, none of this half and half stuff, literally a splash. Tada, the perfect tea. I also feel there is an optimum tea drinking temperature. That moment just after it is too hot and burns your tongue, but is still piping. There is nothing less satisfying than a too cold cup of tea. I don’t know if everyone suffers from the poorly made tea situation, or if I get it worse because of my disability. Oh she looks like she might spill it, I’ll just make her half a cup. Oh it will all be my fault if she drinks it while it’s still hot, I better add some extra cold water. She has no patience or sense of time, I know she’ll just down it as soon as I give it to her. The milky dusk – very weak, half water half milk. The scaredy bag – dunked in, straight out as if the teabag is scared of water. The beaten to death floaters – teabag thrashed so much it’s started to split. The don’t burn yourself – tepid, topped up with half a cup of cold water. The half empty – just because I’m a little fragile it doesn’t mean I can’t drink a full cup of tea. Although I feel sophisticated when given a small tea cup, unless it’s served with a pot then this really is nowhere near enough tea! Also my straw doesn’t stay in, and looks very out of place. So that’s how I choose to take my tea (even if that’s not always how I get it!). Gemma tweets can be found here and she also has a facebook page. Oh I love this post – my family would tell you I drink way too much tea, and I am the only tea drinker in the house. But when my parents or brother come it is loose leaf and a pot all the way, just the way my grandad taught me!! This made me chuckle – I love how you’ve named the types of awful teas! I definitely think there’s an temperature, but oddly I’m quite particular about my mugs too when I’m at home, using certain mugs for certain occasions (based on size, weight, appearance, thickness as to how long they keep the tea warm for). Everyone needs an obsession of some kind… Thanks for sharing this, great guest post!